There comes a time in life when you have to decide where your true motives and priorities are. Priorities are defined by sacrifices. 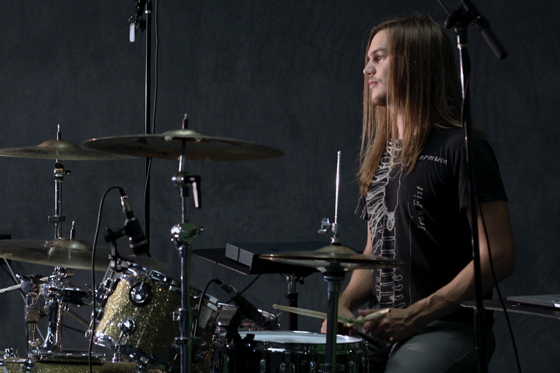 I’m Maximiliam Andersson, a Swedish drummer who moved to Los Angeles, California, to follow my dreams. And now I’m back in Sweden to continue those dreams! Music has surrounded me ever since I was a kid. When my brother and I started playing music together I realized that it was my main passion in life. Now 15 years later, after having played in numerous bands while studying diverse areas of music, I’ve taken up musicianship as a profession. Apart from my own drumming, my ambition is to assist up-and-comers. Throughout my education and my performances I’ve gathered experiences and knowledge that I really enjoy sharing with others.